With years of experience in producing state-of-the-art hardwood floors, Urban Floor Hardwood is one of the popular floor manufacturers which offers quality and stylish hardwood. Creating unique wood flooring with different textures, styles, and colors, Urban Floor Hardwood has been producing masterpieces since 2009. 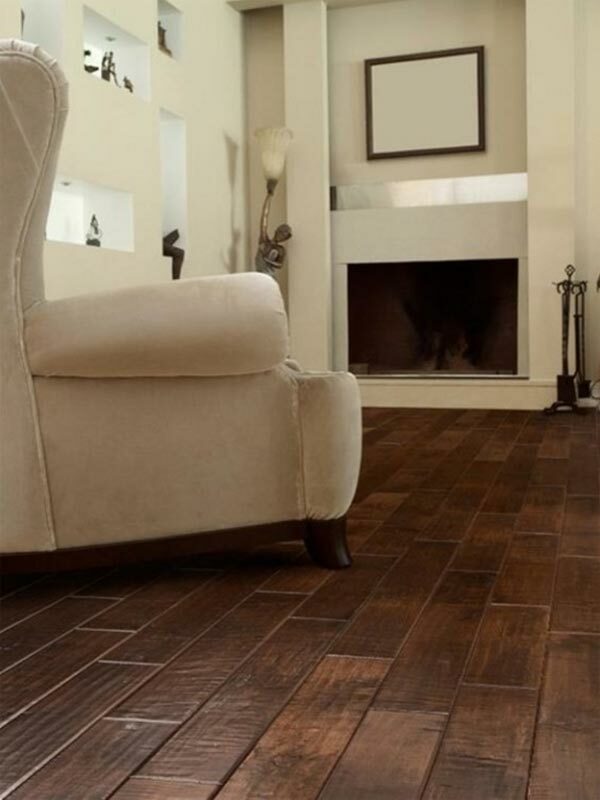 Not only does Urban Floor value quality, they also take pride in offering sustainable hardwood floors. With the numerous certifications, Urban Floor truly takes importance in not only the safety of your family, but also makes an effort to protect the environment. See the versatile collection of Urban Floor hardwood floors yourself by visiting the Slaughterbeck showroom in Campbell, CA. The Urban Floor hardwood floors are professionally made with the excellent materials, which often leads to 100% customer satisfaction. Urban Floor uses state-of-the-art equipment and high-tech milling technology to ensure each of their hardwood floors are finished with high durability, wearability, and stability. There are 3 different types of floors offered by Urban Floor – composer, solid and engineered. 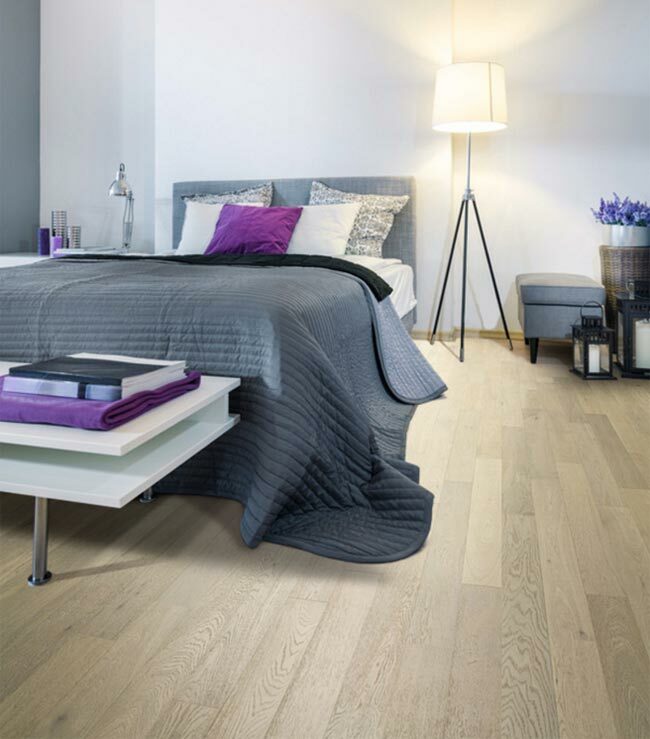 The composer hardwood floor is finished with UV oil from Klumpp Coatings, a leader in durable wood coating products. The UV cured and hardened layer of natural oils offers a durable and scratch-resistant surface to this hardwood floor. Moreover, it is manufactured with a 4 millimeter thick wear layer and 2 cross ply layers to increase the wearability and stability of this floor. On the other hand, the solid floor by Urban Floor is topped with 7 coats of UV-hardened top finish, which consists of acrylic polyurethane and aluminum oxide crystals for a tough semi-gloss finish that is free of formaldehyde. With proper care and maintenance, the solid hardwood flooring is designed with enhanced durability to last for many years to come. The engineered hardwood floor by Urban Floor is topped with the same surface coating as solid hardwood, but is given a 4 millimeter thick wear layer and up to 8 cross ply layers, depending on the style of the hardwood floor. These two layers take wearability and stability of the hardwood floors a step further. 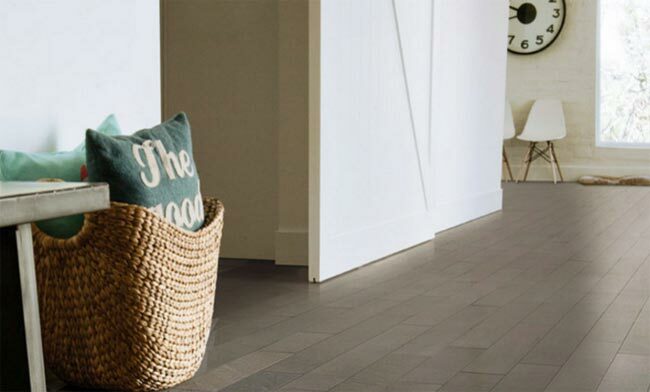 Urban Floor offers versatile textures, types, and colors, which can complement any home or business. Slaughterbeck Floors is proud to carry the Urban Lifestyle and Villa Caprisi collections. Within the Lifestyle collection, there are five different series. The “Exotic Series” produces a modern, contemporary finish. The “Handscraped Series” offers a tradition, time worn appearance. The “Imperial Series” is unique with random length planking. The “Chiseled Edge Series” is family friend with hand distressing and edge treatment. The “Downtown Series” will enhance your space with an elegant mix of rich colors and unique grain patterns. Committed to providing sustainable flooring products, Urban Floor obtains raw materials from ecologically responsibly managed forests and suppliers. In addition, by ensuring the products up to par with safety regulations, you can rest assure the hardwood floors for your home are safe for you and your family. All Urban Floor flooring products are CARB II certified. These products meet all the safety standards of formaldehyde emissions to ensure your hardwood is safe for your family and the environment. The products manufactured by Urban Floor Lacey Act compliant as well. The Lacey act helps prevent any harm to wildlife and the plants of the Earth by prohibiting any kind of illegal trading of wildlife. 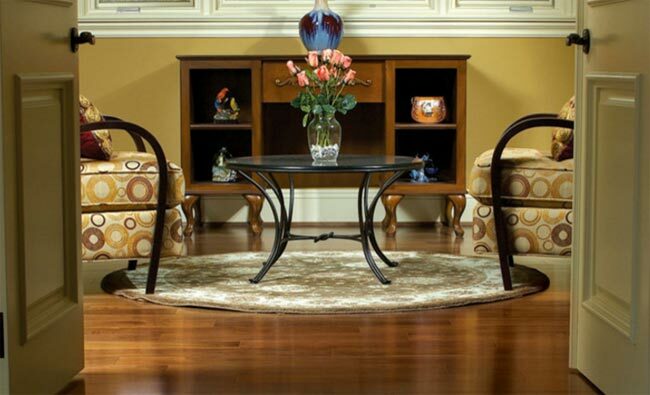 The engineered hardwood floors are FloorScore approved, which ensures good indoor air for your family and loved ones. The FloorScore is one of the most famous indoor air quality (IAQ) certifications in the law, which is specifically made for hard surface floorings, underlayments, and adhesives. With Urban Floor, you have a wide array of designs, textures, and colors to choose from, which will help enhance your home or business whether you’re looking for a traditional hardwood look or a more modern and contemporary feel. In addition, the multiple certifications of their flooring products will ensure quality and safe hardwood floors. For more information on the Urban Floor collections we carry, contact us today!